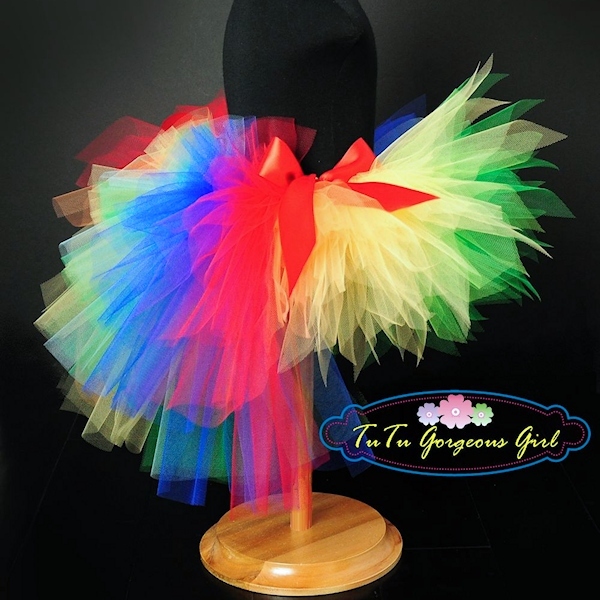 The Rainbow Circus bustle tutu is made with all the colors of the rainbow. 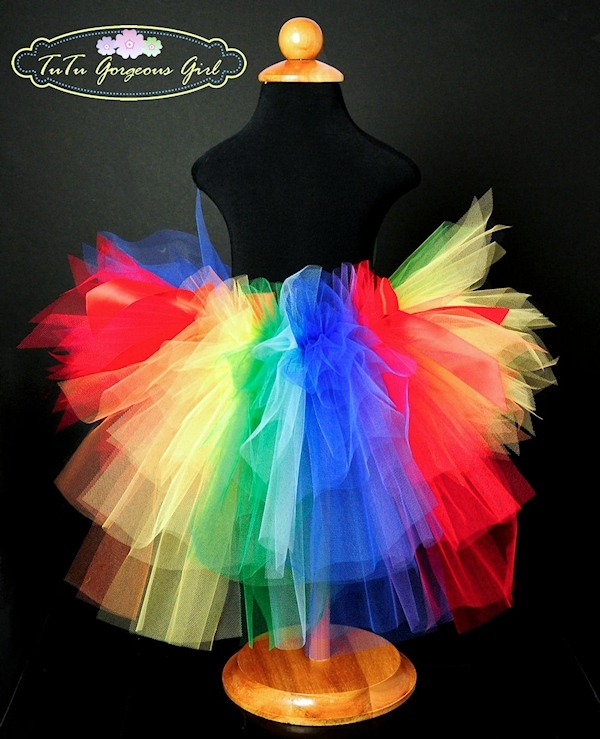 The Rainbow Circus bustle tutu is made with all the colors of the rainbow. 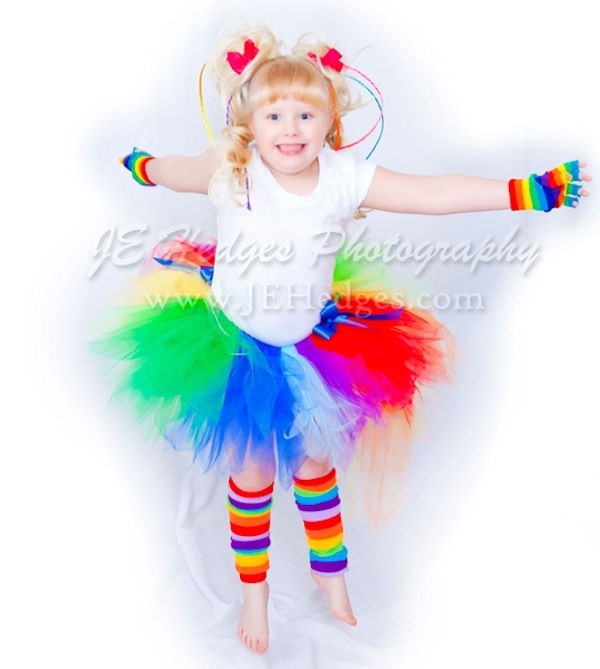 Yellow, red, royal blue and green are featured in wide blocks of color while the secondary colors of orange, lime green, light blue, and purple are used as transition colors. 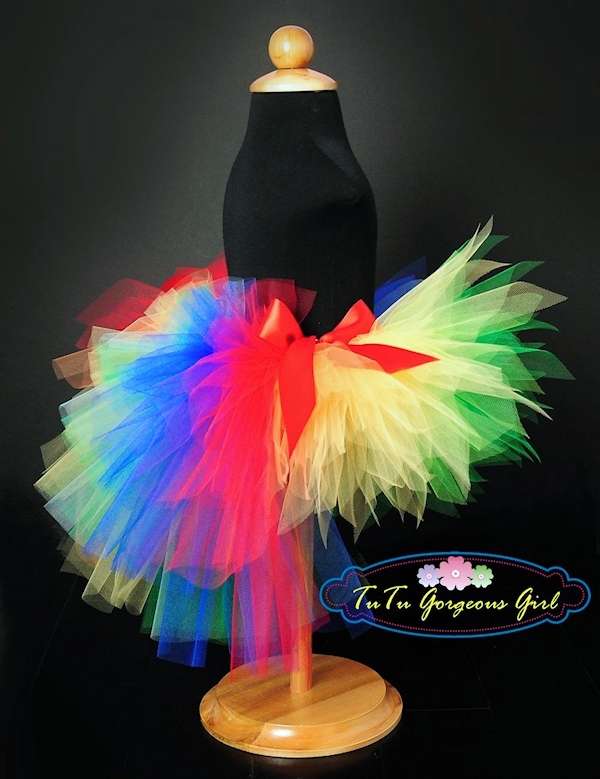 This tutu comes with two satin bows tied at each side of the bustle.